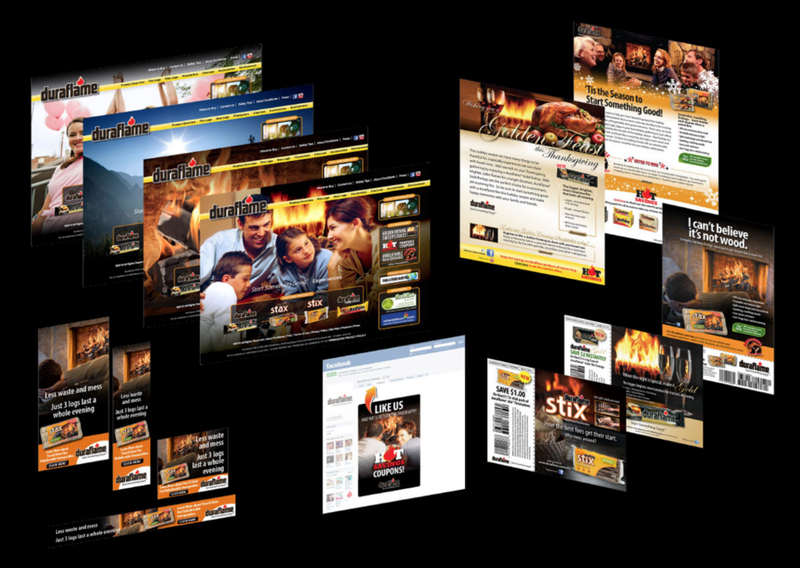 Duraflame enjoyed strong brand recognition as the leader in the fire log industry, but lacked any notable web presence. We turned that around by developing a variety of web properties, updating their branding and launching robust integrated database-building campaigns. The web is now the key component of Duraflame’s advertising efforts and has helped to create an enormous database of loyal followers.